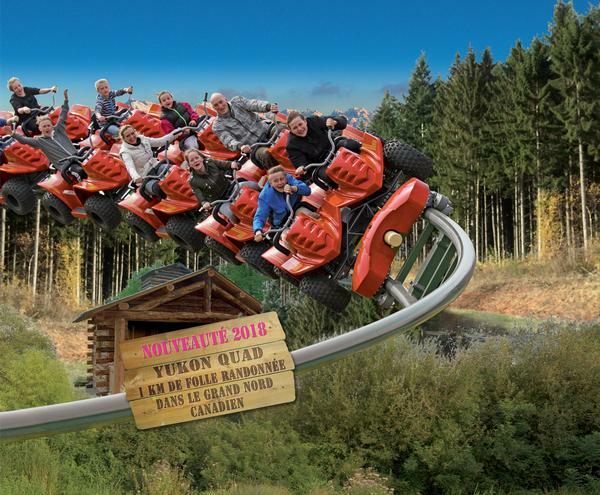 At the beginning of April, Parc Le Pal in Saint-Pourçain-sur-Besbre, France, launched its biggest ever attraction, Yukon Quad. Themed like a string of all-terrain vehicles, Intamin’s Family Launch Coaster covers a whole kilometre of track. 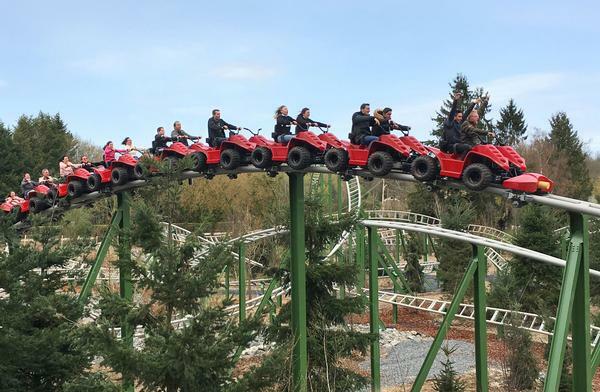 With ride theming creating a journey through a wild Canadian landscape, the quads launch at speeds of 65kph, with riders experiencing a G-force of up to 3G. The rollercoaster travels up, drops down, and winds its way along close to the ground, intensifying the feeling of speed. The coaster’s second launch reaches almost 90kph, following a series of tight bends and hills and an S-hump before the ride comes to an end. 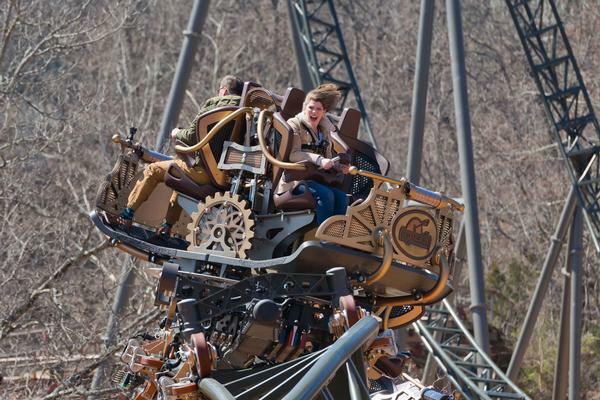 The ride uses Intamin’s cutting-edge friction wheel drive system and features an upright seating position. It’s one of only three coasters of its kind in the world. 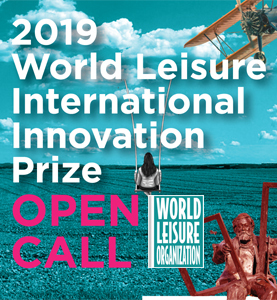 Time Traveller, billed as the world’s fastest, steepest and tallest spinning coaster, delivers 360-degree controlled spins as the vehicle moves, meaning every ride experience is different from the last. 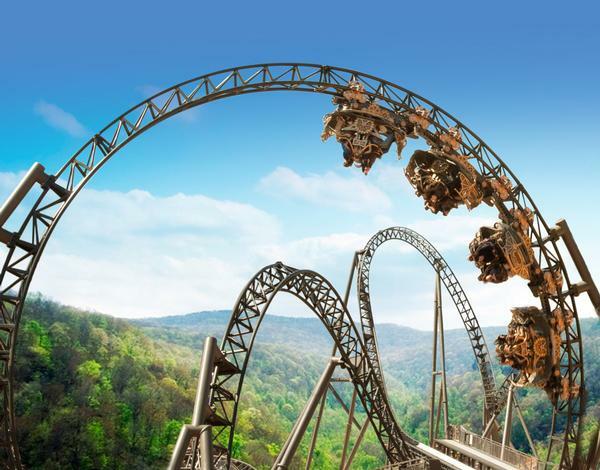 The Herschend-owned and run theme park invested of $26m in the new double launch ride, and in return is able to boast an attraction with top speeds of 80kph, a 10-storey, 90-degree vertical drop, a top height of 30 metres; and a dive loop, vertical loop and a zero-G roll making up its three inversions. The 920-metre track crosses over itself 14 times in total. 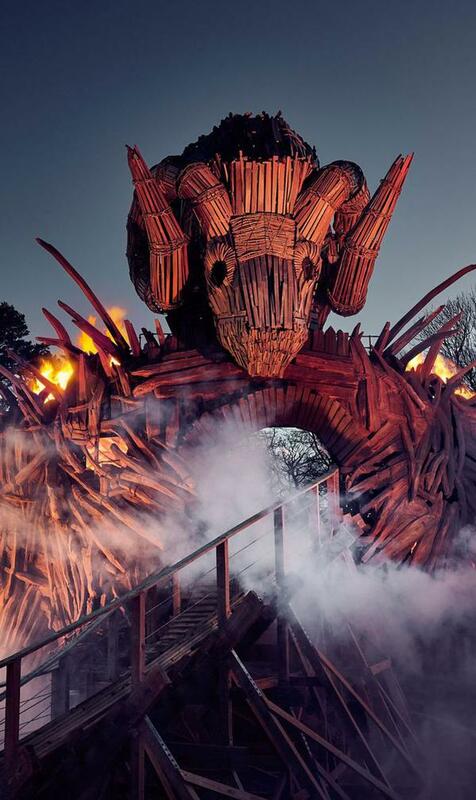 Alton Towers’ highly anticipated Wicker Man ride opened in March, the theme park’s first wooden coaster, which boasts a six-storey flaming centrepiece and is the first such ride to combine wood and fire effects. 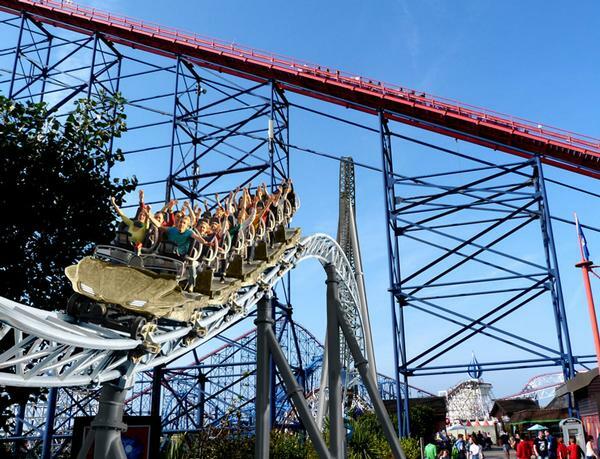 Operator Merlin Entertainments used Great Coasters International to build and install the £16m ride. Holovis created the pre-show and queue line, which feature extensive theming and elaborate projection mapping, while Picsolve supplied the photo-capture solution. 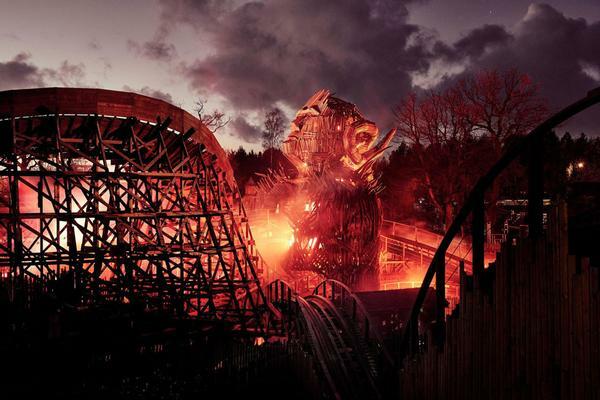 The 618-metre wooden coaster features a blazing 20-metre-tall wicker man that bursts into flames on three occasions during the course of the ride. 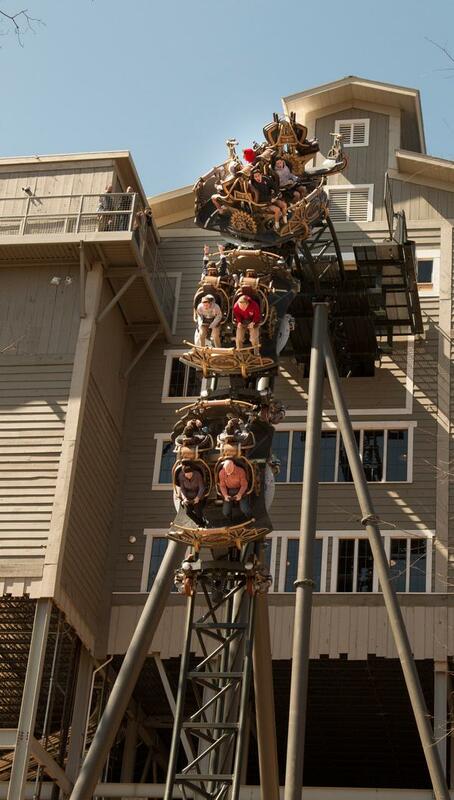 Featuring a lift hill and 22-metre drop, the ride lasts about three and a half minutes. 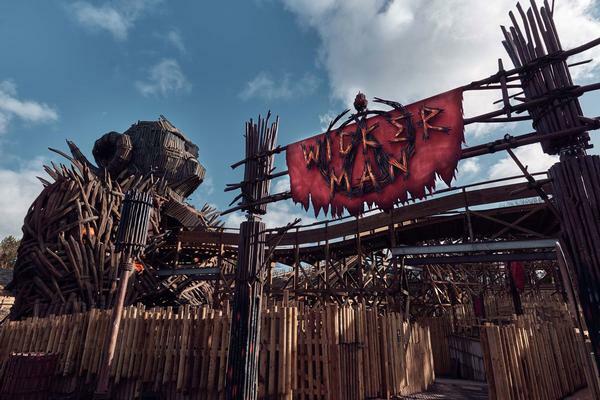 Mack Rides’ ICON – the UK’s first ever double launch rollercoaster – opened in May, marking a £16m investment for Blackpool Pleasure Beach in north England. Riders board copper gold carriages, crafted from German steel, and are fired out of a tunnel, with the layout of the rollercoaster navigating in and out of the theme park’s other rides multiple times. The 1.14km grey steel track boasts a high point of 27 metres, with drops of up to 25 metres. 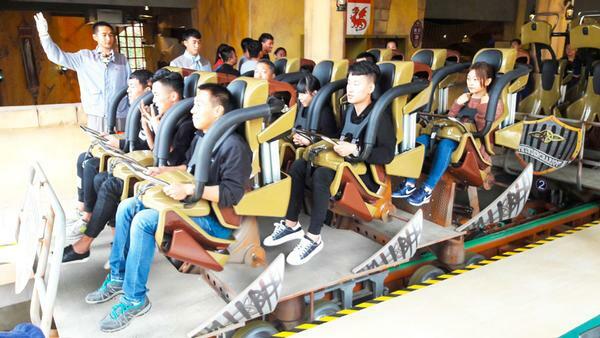 Italian ride maker Zamperla recently opened its third Thunderbolt coaster, at Haichang’s Dalian Discovery Kingdom in Liaoning province, China. The rollercoaster follows a fairytale theme inkeeping with the design of the area in park. 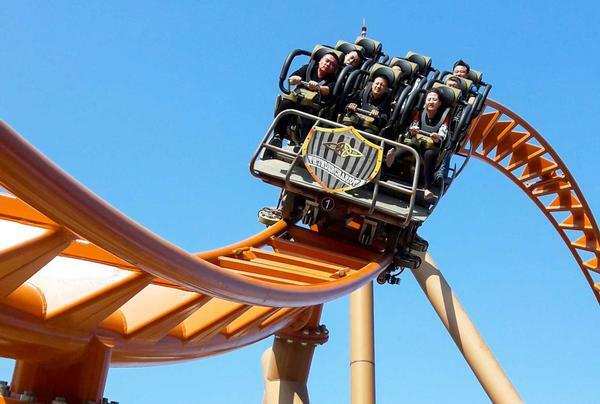 Named Thunderchariot by Dalian Discovery Kingdom, riders traverse the 675-metre track in one of four, nine-seater vehicles, reaching speeds of up to 85kph. Zamperla has installed its Thunderbolt ride at Luna Park, New York, and OWA theme park in Foley, Alabama. A fourth is to open at Mason Robotland in South Korea.